There are more and more female military pilot on the Indian subcontinent. Some of the reasons are similar, such as long-running conflicts giving rise to nationalistic and patriotic sentiment, as well as a desire to expand the pool of motivated and well-educated personnel. However, the socio-political context is very different. Women in Southwest Asian countries suffer high rates of material poverty, inequality and sexual violence. The armed forces in these countries have at times been significant perpetrators of sexual violence. Today they still maintain very low percentages of female personnel, even in purely non-combat roles. Thus the decision to purposefully train women to occupy an elite, highly-profile military role is perceived as a transformative, political act in the face of persistent gender inequality. However, such initiatives may remain symbolic, unless they are supported by policies integrating women more broadly. After all, Pakistan, India and Bangladesh have all had female heads-of-state, but elite achievements do not always filter down in societies which may be just as stratified along class or ethnic lines. In 2013, Pakistan’s armed forces counted merely 4,000 female personnel, only 300 of whom were in the air force. But by then, the Islamic republic had trained 20 women pilots, including five combat pilots. This is a major turnaround, as women weren’t allowed to serve in the Pakistani air force except as doctors or nurses until a policy change in the 1990s requested by Pres. Benazir Bhutto. The PAF’s first 34 female pilots began training in 2006. In media, some Pakistani women pilots can be seen wearing hijabs under their helmets, while others such as Lt. Sharista Baig go without. Flight Lt. Ayesha Farooq, the first to qualify for combat operations in 2013, flew an F-7PG on a bombing mission against the Taliban in Waziristan as part of Operation Zarb E Azb. This fighter is a Chengdu J-7, itself a Chinese clone of the venerable Soviet MiG-21, upgraded for Pakistan with an Italian Grifo fire-control radar, GPS navigation, an extra cannon and an improved Radar Warning Receiver. Another pilot, Flying Officer Marium Mukhtiar, qualified a year after Ayesha in 2014. However, during a routine training mission over Mianwali on November 24, 2015, her two-seat FT-7PG trainer experienced an emergency, the precise nature of which remains unclear. According to PAF, she and squadron leader Saqib Abbasi delayed ejecting to ensure the aircraft did not smash into the town of Kundian. They were at dangerously low altitude before both ejected. Abbasi survived with light injuries. The 24-year-old Mukhtiar punched out seconds later and did not. After her death, Mukhtiar was officially deemed a martyr and commemorated with a documentary and a full-length movie Ek Thi Marium. Mukhtiar’s death, and that of Chinese Captain Yu Xu in 2016, highlight that the public may not initially react to the death of a female military pilot in the same manner as for a male pilot. However, losses to accidents—or, potentially, combat—are a tragic but inevitable aspect of integrating women into military aviation. Women make up merely 2.5 percent of of the more than 1.4 million active-duty personnel of the Indian armed forces. However, in February 2016 Pres. Pranab Mukherjee ostensibly opened all combat positions to women in a bid to improve female recruitment. In practice, service on tanks, submarines and other combat arms remains closed to Indian women—but not so combat aircraft. In June that year, the Indian air force commissioned its first three female fighter pilots, out of six cadets that entered the program. Avani Chaturvedi, Bhawana Kanth and Mohana Singh. Reportedly, because the IAF worried that pregnancy might interfere with expense invested in training the pilots, it made the women agree not to bear children for the next four years. The trio trained on Indian-built HJT-16 Kiran intermediate and then Hawk advanced jet trainers, before moving on to two-seat MiG-21UT trainers. Early in 2018, 24-year-old Avani Chaturvedi became the first Indian woman qualified to solo fly an Indian MiG-21 Bison, an upgrade of the speedy 1950s-era Soviet fighter with a Kopyon engagement radar and a helmet-mounted sight allowing it to employ modern R-77 and R-73 air-to-air missiles. IAF officials have stated they prefer the female pilots gain experience on older aircraft with “manual controls” before qualifying them on modern types with automated fly-by-wire avionics like India’s Su-30 Flankers. Chaturvedi and Kanth are currently completing one more year of training with the IAF’s No. 23 and 3 squadrons, while Singh is finishing her Advanced Jet Training. Three more female fighter pilots are currently undergoing advanced jet training. Another 100 female pilot serve in helicopter and transport units. The IAF considers the female fighter pilot program to be “experimental” and will evaluate its success in 2020. Afghanistan consistently ranks as one of the worst countries to be a woman. In 2018, the Afghan Armed forces counted 1,700 women, up from 350 in 2012. While the Afghan military’s efforts to recruit female pilots may seem smbolic, its may also be motivated by a pressing lack of literate personnel to fill the ranks of its fledgling Air Force. The Afghan Air Force pilots a variety of transport planes and helicopters, as well as helicopter gunships and A-29 Super Tucano light attack planes for its long-running war with Taliban insurgents. Air power is one of the government’s few reliable advantages over Taliban and ISIS insurgents. 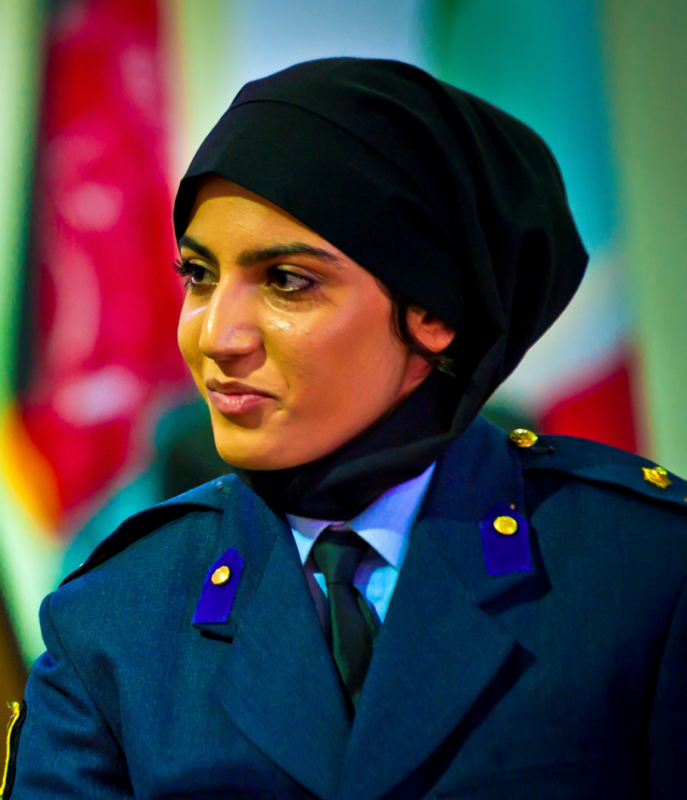 The Air Force’s first female pilot, Captain Niloofar Rahmani, joined at age 18. Graduating in in 2013, she went on to pilot a Cessna C208 Caravan single-engine utility plane for Kabul Air Wing. Despite being banned from casualty evacuation flights due to her gender, she defied orders to medically evacuate injured Afghan soldiers from a combat zone, an act for which she received media attention. As the Taliban’s agenda extends to banning education for young women, their fundamentalist social views were particularly affronted by Rahmani. The Taliban, and eventually even her extended family, issued death threats against her and her family. Assailants twice targeted her brother for assassination and beat her sister. Rahmani then went to the United States to train on flying a C-130 transport—but in 2016 the 25-year-old requested asylum, which was finally granted in April 2018 over the objection of the Afghan military. Rahmani has stated she would like to join the U.S. Air Force. The AAF currently includes at least one fixed-wing aviator, Capt. Safia Ferozi, who also flies a C208. She married a fellow pilot with whom she had a daughter, and returned to operational duty after eight months. Two Hazara Afghan women completed training in OH-58 scout helicopters in the United States in 2012, but then the AAF grounded them. The latest Afghan Air Force class of 2018, trained in the Czech Republic, includes two more female fixed-wing pilots. Though the U.K. and U.S. made extensive use of women auxiliaries to ferry aircraft during World War II, the Soviet Union was the only country to send female aviators into combat on a large scale, forming three all-woman aviation regiments that flew 30,000 sorties over the course of the war. 558th “Night Witches” regiment piloted rickety old Po-2 two-seater biplanes to harass German troops at night, the 587th flew high-speed Pe-2 twin-engine bombers and the 586th Fghter Regiment provided air cover for Soviet troops at Stalingrad and Kursk, counting among its ranks female aces Lydia Litvak and Yekaterina Budanova. Soviet women such as Il-2 Shturmovik pilot Anna Yegorova also served in regular aviation regiments. The modern Russian air force does not employ any female pilots—but that will soon change. In October 2017, Russian defense minister Sergei Shoigu announced that the first sixteen female aviation cadets—selected from 214 applicants—would undergo training at the Krasnodar Military Aviation school, due to popular request. Russia is attempting to transition its conscript-heavy armed forces towards using a higher proportion of better-trained volunteers. Motivated female volunteers could obviously support that transition. In April 2018, the Sri Lankan air force began training its first four women military pilots, with a second cohort of five to follow. Bangladesh inducted its first two female helicopter pilots in 2014. Flight Leiutenants Nayma Haque and Tamanna-E-Lufti have since deployed on a peacekeeping mission to Congo flying Mi-17 and Mi-171 transport helicopters. Female combat pilots are rare among the former-Soviet states in Central Asia. One exception is Lt. Ardan Botay, who having flown An-26 transports since 2010 for the Kazakh air force, received her qualifications to fly the L-39 trainer in March 2018. Though female military pilots in the Middle East region are outside the scope of this article, it’s worth noting that Turkish aviator Sabiha Gökçen may be technically the first female combat pilot. 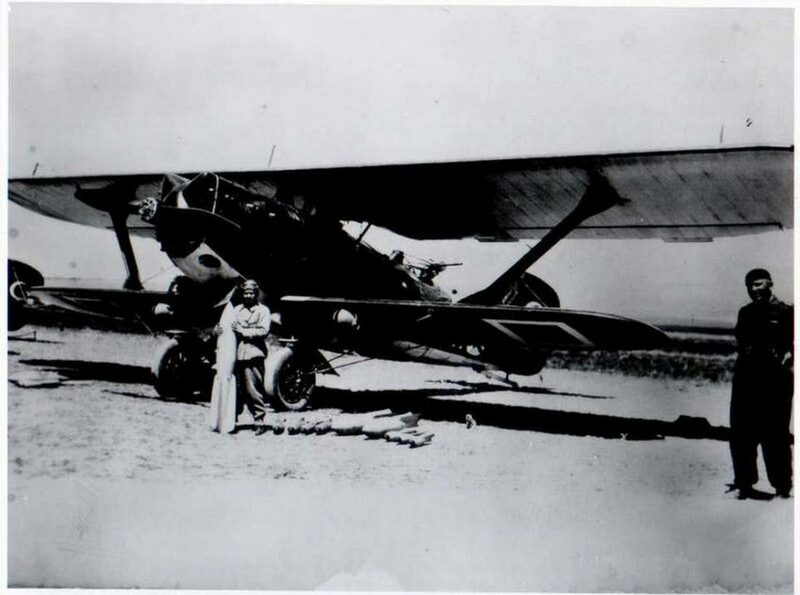 Adopted at age 12 by Turkish leader Mustafa Ataturk, Gökçen joined the 1st Aviation Regiment flew combat missions against Kurdish rebels in 1937. The Turkish air force opened pilot training to women in 1992. Today, several dozen more serve in F-16 units and one Maj. Esra Ozatay commands the Turkish Stars aerobatics team.